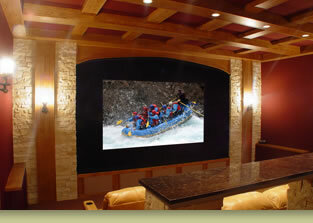 We specialize in custom design and installation of audio/video systems for your home theater or media room. Our services also include system integration and smart-home technology. Our goal is to provide you with quality products and outstanding service in order to exceed your expectations. We take pride when an installation thoroughly delights all members of your household. Understanding that technology is constantly changing, we will work to “future proof” your home electronics, so a system can be enjoyed for years to come. In order to stay current with the latest technology, we are CEDIA (Custom Electronic Design & Installation Association) certified. © Copyright 2014, TheaterWorks of Colorado, Inc.